This edition of The Answer is thematically devoted to X’s wardrobe: What he wears, why he wears it, what he could have worn, and what’s underneath. 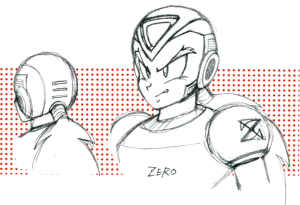 Q01: Is there an official design of Rockman X‘s X and Zero with their helmets off? 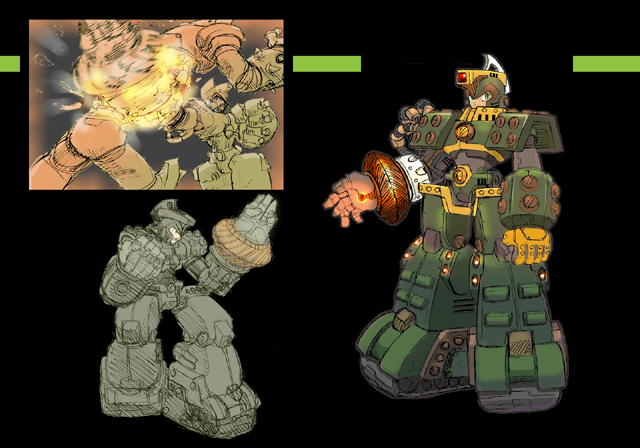 CAPCOM: The images on page 253 that were made for the Mega Armor line are the only official reference materials at this time. The issue of hairstyles, then, remains a mystery. 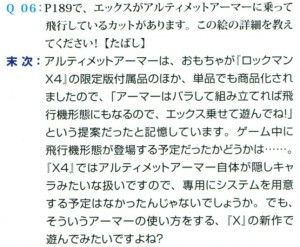 Q06: On page 189, there’s a cut of X flying atop the Ultimate Armor. Please tell me what the story is with this image! 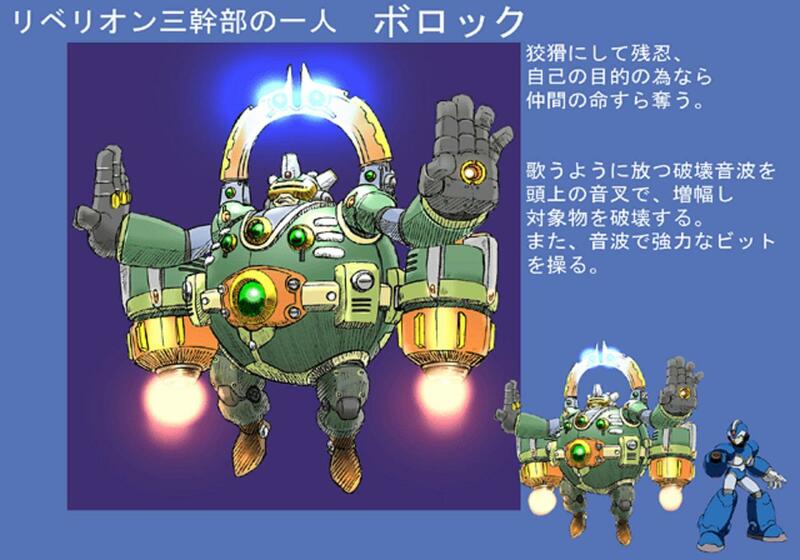 Suetsugu: As I recall, the Ultimate Armor was designed as a toy to be included in the Special Limited edition of Rockman X4, and to also be sold as a stand-alone product, so there was a proposal that went “Hey, how about if you can assemble the pieces of the armor together into a some kind of flying figure, and that way X can ride on top of it!”As to whether or not there was ever a plan for the flying mecha to appear in the game… Because the Ultimate Armor itself was treated almost like a secret character in X4, I’m not sure there would have been any plan to prepare an entire exclusive system just to incorporate it. But wouldn’t it be nice to see the armor play like that in a new X game? If you’ve read this or this a while back, you should already be pretty familiar with that story. 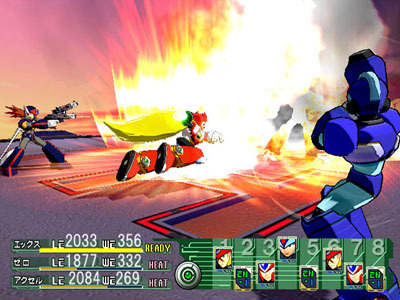 My beef is, the games following X4 implemented both free-flying and saber-swinging into X’s repertoire, so why couldn’t they have adapted the Ultimate Armor to include some of those features that it was intended to have in the first place? 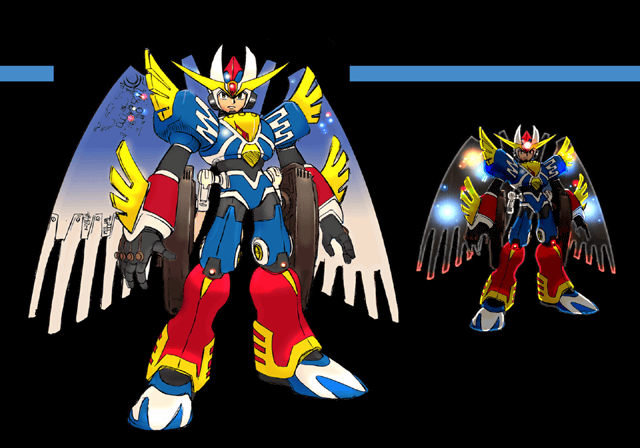 Q11: In the gallery of Rockman X Command Mission, there are Ultimate Armor designs for X that are completely different from the one he uses in the game. Are these unused concept illustrations? Higurashi: My memory of that time is a bit hazy, but perhaps, you know I think it was something like that. I believe this question refers to the sketches like these in the Sky Room. 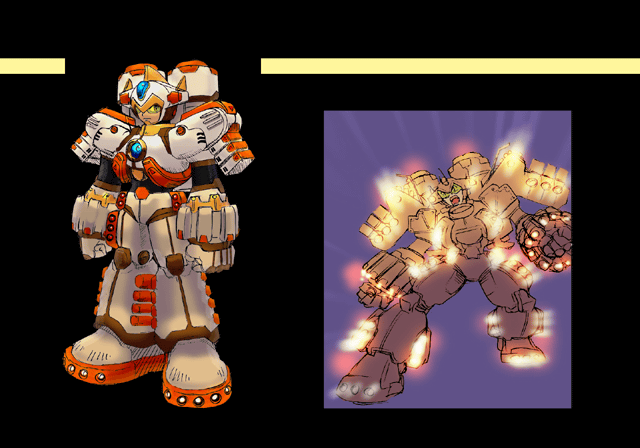 Side note, a lot of fans inquired via twitter about getting more Command Mission images into the book, but in the end only a few additions were made. 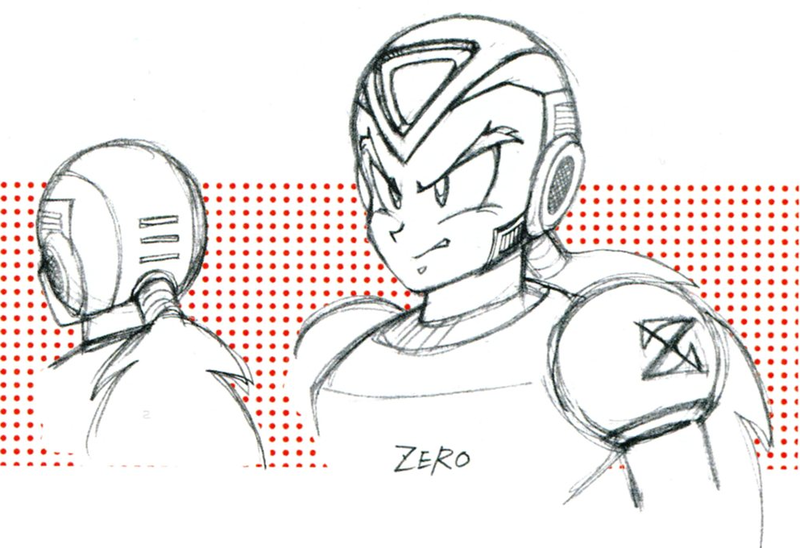 Here’s hoping Capcom’s holding out for their own Command Mission exclusive art book, but realistically I know I shouldn’t hold my breath for that one. 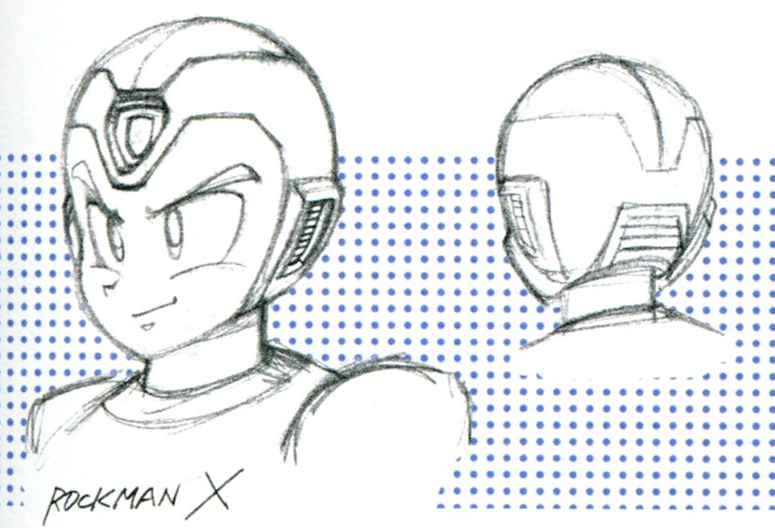 Q012: In some of the concept images and early screen shots of Rockman X Command Mission, X uses his familiar traditional design. Why did these wind up getting changed in the final product? 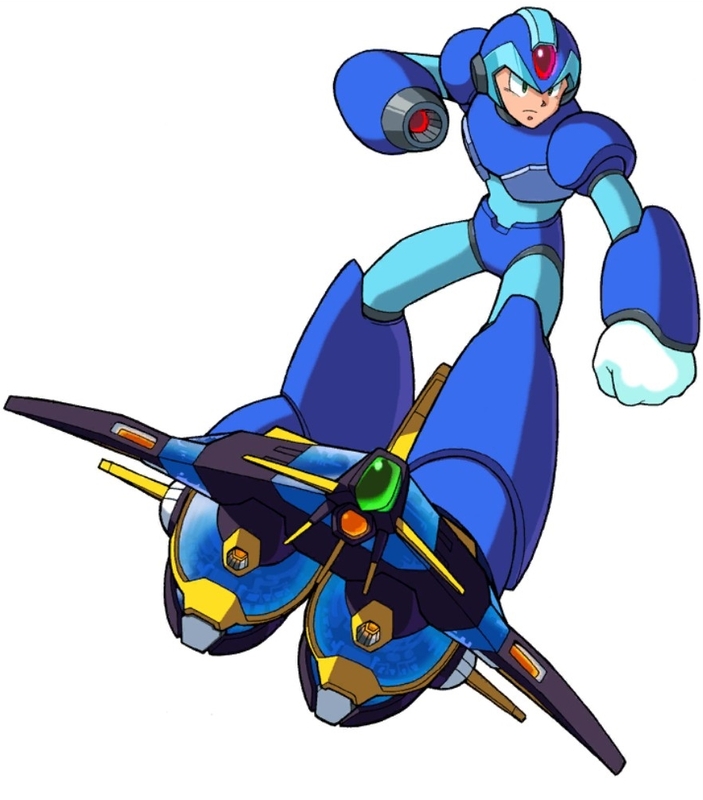 X’s iconic blue: just too boring? Nah, I don’t think so. But I will say the Command Mission armor looks quite nice, too. In my mind it makes him seem more… grown-up, I guess? 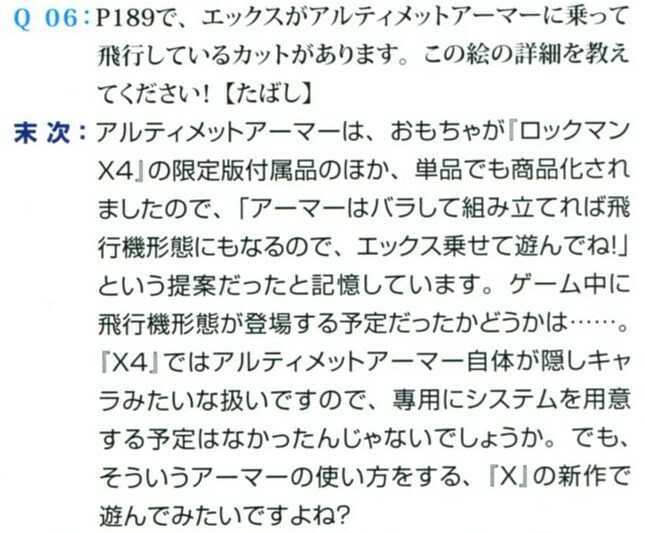 Also reflects his more down-to-business action-oriented attitude in CM, which was a major departure from his somber reluctant tone in X7. Too bad they didn’t explain where he got that fancy new armor from, though. 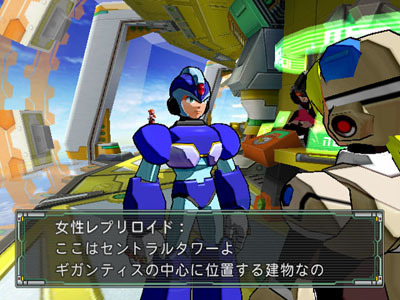 Or give us any background data on X-Fire, the new Ultimate Armor or Absolute Zero, either. But I have a feeling that’s probably because there isn’t much background to share. If you’re starting to suspect a trend of wardrobe, style, and fashion-related questions in The Answer, you may be on to something. This is primarily an art book, after all. 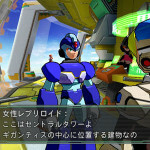 4 Comments to "On X"
Definitely hope we get more Command Mission info. I wonder if UDON could be coerced into taking questions for their own version somehow? As for changes, it… seems to vary. 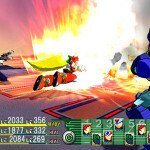 That was certainly the case with the Mega Man books before, yet the Street Fighter versions added new content. I guess it’s on a case-by-case basis? Who knows what the differentiating factors were, or if they’re still in play? Good point. I hope they can get permission to add this time, and decide to make this a new supplemental volume instead of trying to rework the 2 books we already have.